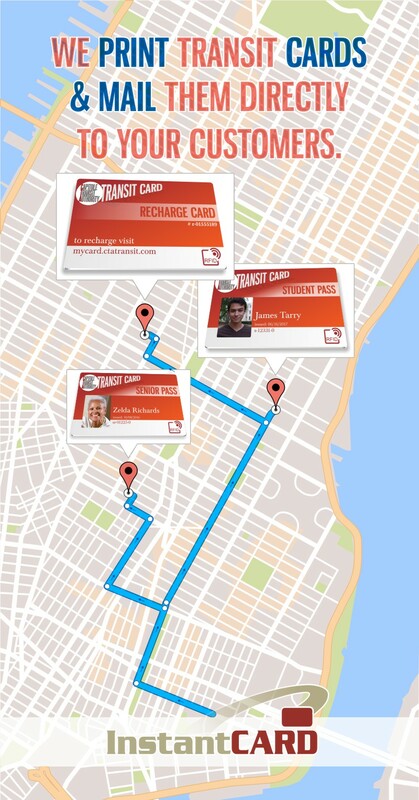 InstantCard’s unique offering to the transit industry is a cloud-based, on-demand service to print and deliver transit passes to your riders. Riders may order their transit pass online, or the order may come from an existing rider enrollment system. The personalized transit passes are printed, encoded, and mailed the same day. A full set of APIs ensure easy integration with your other systems. Passes may have photos as well as unique identifying information. Photo IDs can reduce the misuse and sharing of passes. 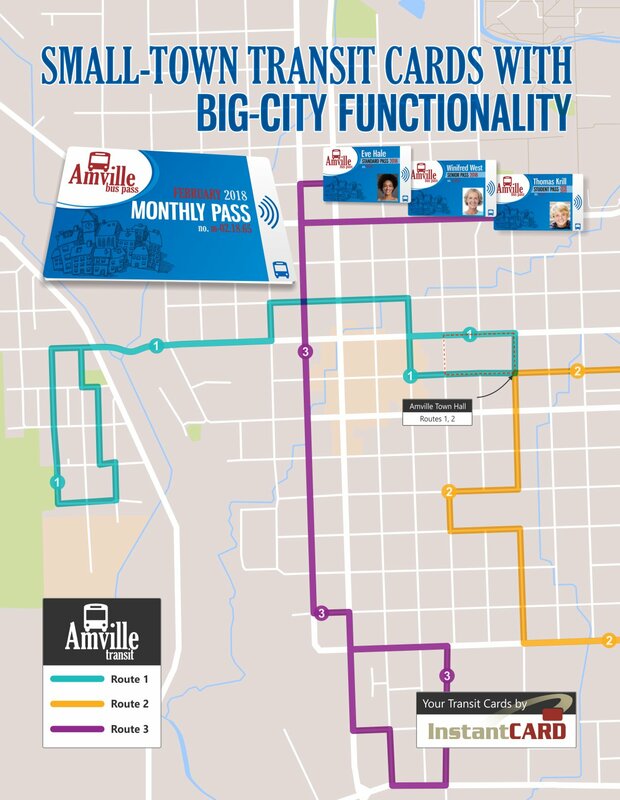 Transit passes are printed on high-quality PVC plastic using thermal retransfer technology. Technologies supported include mag stripe, barcodes, and smart cards. InstantCard has developed a simple, low-cost transit pass system for small transit operators using smart card technology. Passes may be daily, weekly, monthly, or annual. This service is designed primarily for bus and paratransit operators with under 50 vehicles. With this service, we make high quality transit pass systems affordable for smaller systems. Many smaller transit companies mistakenly believe that the functionality of such transit card systems aren’t an option due to cost. In fact, advancement in the underlying technologies has made such transit pass systems possible for operators of all sizes. If you can’t make it, here are the two banners which will be on display at our booth!